With an unparalleled eye for the dynamics of architectural lines and deconstructive forms, Leonard Wong is a design talent who is taking the fashion scene by storm. A Chinese designer based in Tokyo, Leonard Wong graduated from the Bunka Fashion College in 2013, and has launched into producing his collections in Tokyo. 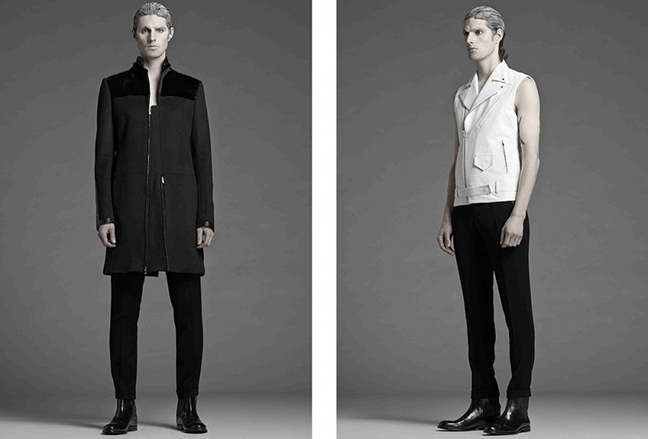 His signature monochrome looks combine futuristic, out-of-this-world shapes with rigorously precise lines. The young designer amassed an impressive list of awards even before he had graduated, with his exceptional work garnering him the titles of Up-and-coming Designer Grand Prix in Tokyo, the Ministry of Culture Award and the Air France Award, both in 2013, and two more awards to follow in the same year, the Bunka Fashion College Design Award and Bunka Fukusou Gakuin. With these marks of merit under his belt, Leonard Wong has established himself with success and has made his mark on the international fashion scene, notably by making it into the finalists of the Italian Vogue Young Fashion Design Award. 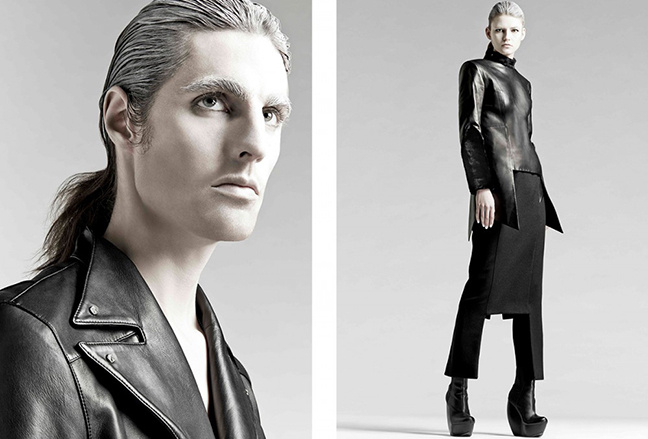 His designs have made their way onto the silver screen, with pieces used in the upcoming film Ghost in the Shell. 2015 also marked his first foray into the European fashion scene, with his collection line presented in Paris. For his autumn/winter 2015 collection, Leonard Wong took inspiration from Charles Darwin’s Origin of Species, and its exploration of mutant cells and the need to survive. With natural selection in mind, Wong crafts surreal lines that emulate the very transformative processes of evolution: both futuristic and otherworldly, Wong uses traditional styles to go on to create something new, balancing old and new, establishment and innovation. A laboratory of creativity and forward-thinking design, Leonard Wong’s world is one that will uproot your expectations and ideals.